Upcoming stories from the Vegas Golden Knights vs. Arizona Coyotes at T-Mobile Arena. 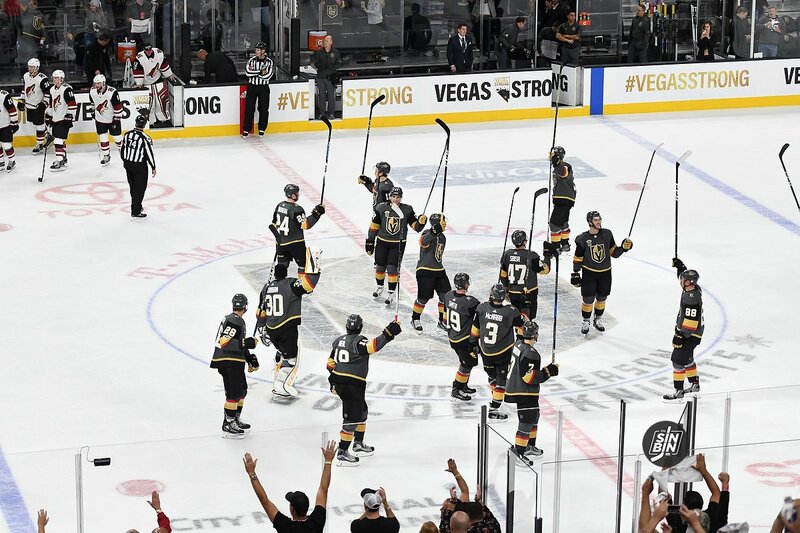 The first home game in Vegas Golden Knights history! Golden Knights take the emotional start and ride it to an incredible start. The stats behind the first expansion team ever to start 3-0. Photo gallery from the game.